As mentioned in the previous post, we’re continuing with behaviour-sculpting and the relationship between Imagination within the Mind/future projections in the process of developing, constructing and manifesting our Character in equal and one alignment with and as the examples that has gone before us, as the process of how we create ourselves through the Mind in the physical, and the separation and consequences within this it manifest in our relationship to ourselves, our body and this physical existence as a whole. Friend A observed her mother standing in front of an ‘authority figure’ whilst accompanying her mother to a meeting. Friend A’s mother within and during that meeting stood very upright, chin to the air, mouth slightly pouted and stiffened, with her arms to her sides and her hands clasped together in the front of her body and speaking in a very formal tone, with her feet next to each-other facing forward. Friend A, scans the Mother up and down with her Physical-Mind eyes – capturing reality-moments, manifesting into and as her ‘glass-window pane’ as memories, from where her beingness relationship also firstly decide whether this position resonate/align with her beingness; and when/as it does – the Memory will transfer into and as the centre of the Mind/Head region, simultaneously activating her ‘Conservative Character’ suit/embodiment, so that within and as the Imagination-domain as she ‘sees herself’ in a three-dimensional view standing as her mother is standing, essentially taking that memory and replacing/envisioning her instead of her mother within the Memory – this process of imitating/altering/playing with Memories within the Imagination will then resonate/manifest into and as her ‘Conservative Character’ suit as a stored program. And so, as she’s replaced herself in the memory within her Imagination with her Mother, she’ll so start moving her physical body to stand equally as one as her mother is standing. In this, thus – the process of what we do with minor details in behavioural-changes in certain-specific instances/moments, where we’ll take memories of reality-exemplars, re-position/replace ourselves as the Main Character within the memories and from here, mould/shape/change our bodies. With such processes of minor-detail behavioural changes that manifest within and throughout our lives, but the ‘quantum-integration’ of behavioural systems – only manifest within and during childhood. I commit myself to show how/why we think/believe/perceive such processes of imitation is happening with what we’re in the moment physically seeing – as though there is a direct-relationship between the physical eyes and what we’re directly physically seeing and from there in physical-reality manifest the processes of imitation, but it’s not in fact. As we actually use references/memories in our Minds where we replace ourselves as the Main Character of someone we’re copying/imitating and then from within our Minds will align our physical-bodies in equal and one behaviour/mannerism. Where the constant/continuous looking/glancing is the Mind within and of ourselves forming a three-dimensional view within the Mind of the being in actual reality; accumulating memories in creating/manifesting a three-dimensional ‘panoramic view’ / photograph that will compact/compress/align with the initial memory manifestation, where the first memory will be as the first instance she was seeing her Mother standing, and the more and more she glance/blink, the more and more memories accumulate within and upon the first initial memory; replacing herself as the Main Character within each Memory, and shaping/tweaking her body/behaviour accordingly to more specifically imitate the particular-specific behavioural detail. I commit myself to show, how we can still see – how we tend to imprint physical-reality moments of other human beings into our Minds and Imagination, replacing ourselves as Main Characters from and of Memories of others, where we then imitate/copy behaviour, presentation and speech as ‘minor detailed changes’ in our behaviour/presentation/speech. Where, for example – one will see a successful business woman walking, and within self is existent a ‘Success Character’ that one had constructed/built from and of one’s Parents in one’s childhood years as one’s parents prepared self to be/become a success in life. And so will as this Character – utilize this process of Memory and Imagination and ‘Main Character replacement’ to tweak/alter/amend details of one’s ‘Success Character’ with being more exposed to the outside world. Where, as one is walking and seeing a woman that looks similar/the same to self, in the way she’s walking/presenting herself in behaviour/dress – will manifest that reality moment into one’s Imagination within one’s ‘Success Character’ – imagining self in the Mind walking the same, wearing the same clothes; as there was a particular ‘bounce’ to her walk that you found attractive, with her clothes a lot more specific/structured and so would use such minor details to tweak/mend one’s already behavioural-design/dress that one developed within one’s ‘Success Character’. In this, I commit myself to show – how often we do imagine ourselves within our Minds within particular-specific Characters in replacing ourselves as Main Characters within and as Memories we’ve accumulated from/of others, and then when/as we attempt/try to manifest it into reality: it never manifest the same as what we’d imagined it to be. Not seeing/realising/understand what this in fact show: the extent to which we trust imagination, first; with disappointment at reality / when reality do not meet imagination; essentially ‘blaming reality for not being equal-to and one-with imagination’. 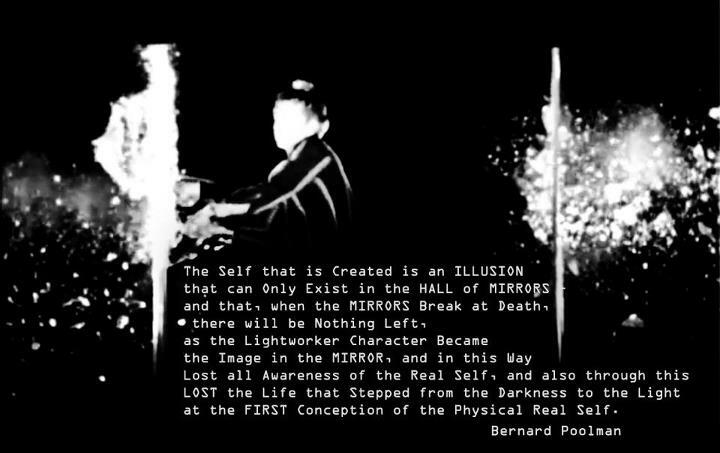 And how many human beings create/manifest consequences for themselves in trying/attempting to materialize imagination; not seeing, realising and understanding that the Mind perceives reality, it is not in fact equal-to and one-with reality, as we are not equal-to and one-with reality. And thus to consider, to establish an equal and one relationship with the physical, with reality to see, realise and understand the extent to which we’ve separated ourselves from ourselves and how far from reality in our Minds / Imagination we’ve come to exist; and to start learning what it means to set oneself free from the limitation of imagination, into and as the equality and oneness of the physical, this physical existence as a whole. If imagination was in fact so ‘powerful’…this world/humanity would have been a different scenario a loooonnggg time ago. Imagination is not the power – living here as breath in the physical body in equality and oneness is the key to change. Friend A observes her Mother – her Mother sitting on the couch, and observes how her Mother is sitting cross-legged, how she’s using/waving her arms in her process of explanation, her fingers moving swiftly, yet gentle and ethereal like as though she’s drawing the words simultaneously through her body/arms and fingers. Also her eyes are wide and her mouth open, her upper body stiff and lifting ever so slightly every time her voice-pitch simultaneously heightens as she’s completely in the moment with the words and her body channelling a memory within her Mind and displaying it in the moment as she grasps the centre of attention as all the other Females are entranced by her Mother’s show. Within this, the Mind/Consciousness of Friend A will capture the absolute detail of the moment/the physical only and within that, the one energy-experience that will activate the particular-specific behaviour-system that the being is in the process of downloading/copying into their Mind-Physical Existence. With this one-energy experience, the experience that Friend A activated within her as she was observing her mother – being ‘adored / being the centre of attention’, an experience that in itself manifested from Memories of her Mother within her Unconscious-Mind, where her mother as a child faced an exact-same equal and one moment, and so the child is now in the process of re-enacting an exact same scenario as her mother did when her mother was a child. And so, as Friend A observes this ‘talent’ of her Mother to draw, capture and keep the attention of other’s, Friend A in that moment starts downloading into her Mind-Physical existence that entire scene in absolute detail, staring – eyes wide open, mouth slightly open; in a state of trance as her consciousness/mind in that moment completely clears the busyness of thoughts/internal experience to transfix her/itself only on what is seen/observed within and as the particular-specific energy experience of ‘adoration/attention’. What is fascinating in this moment is how the mind/consciousness with the being sees through the Physical-Mind Eyes; as the rest of the environment goes slightly hazy/out of focus as the being focus their vision on the Mother and slightly on the Friends as they listen intently – for a moment as though the external physical-environment becomes a 3-Dimensional live painting with the Mother the centre of attention/focus and the Friends painted slightly less dense/specific and then the rest of the environment/surroundings fades away. Within and during this interaction, Friend A in her beingness is manifesting her mind-physical relationship to/towards such a moment where she experience reactions of adoration/attention as though she’s part of her Mother and her Friends, when in reality she is not in fact. As that experience of her being part of/included in that moment is in fact manifesting within her Mind; as what Consciousness/the Mind is manifesting in that moment is a real-time relationship-interaction with her, her mother and her Friends. Where in this moment: she’s superimposing her Mind-Reality onto actual Physical-Reality, only seeing Reality within and through her Mind and her experience within it. Where in this moment – Consciousness take a Physical Quantum-Time imprint of and as her Mother’s entire physical-behavioural system-design and merging it into and as Friend A’s physical body. Within and during this process - the Mind actually ‘lifts itself’ within the body of the being – like extending itself upwards and outwards within the being’s physical body, so that in that process it ‘expose its unconscious physical-platform in the child’s physical-body where it’s in the process of transferring reality-information into and as the very fabric of the physical-body of the child. Focusing itself on the one point within the environment, for example the Mother – and starts pixelating into itself the actual external environment/moment into and as the Physical-Body / entire physical body of the Child/Friend A as the quantum process the Mind has used to transfer/download behavioural-systems into and as the physical-body through placing the being into a trans-like state – the mind-body relationship essentially becoming one massive glass-window pane into and on which reality is imprinted/manifested. And if/as the child was aware of the body, would actually physically feel/experience how the mind in the body move as it integrate the behavioural patterns into itself as the Mother moves. Now that we’ve got the overview process that manifest within and as quantum integration of behavioural systems, we’ll in the next post continue with the commitment statements and more step-by-step details as how we in our Mind-Physical existence become the behavioural systems we observe from/of others we developed a particular-specific relationship to/towards that will activate within particular-specific scenarios together with a particular-specific energy experience. wow, this one really gives awesome perspective in realizing to what extent we are just living our life like a movie - only projecting images that we've seen through childhood and programmed within our mind unto reality. Thanx for sharing!